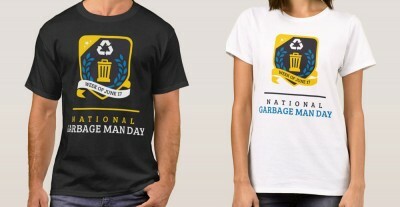 During this special week of celebration for National Garbage Man Day, we join together to thank the women and men who work daily to keep our neighborhoods and streets safe and clean! Join us the week of June 17th, and all throughout the year, to celebrate these hard-working women and men! William has formed a friendship with Thomas and Thomas’ co-worker Jimmy Williams. Three-year-old William Kidder has not let his tender age limit him from doing good deeds. For over a … Read moreWilliam Kidder, 3, helps Waste Management garbage man Johnny Thomas load a garbage can on a truck. We love celebrating the hard working individuals in the waste and recycling industry. That is why we are giving one lucky individual the chance to celebrate National Garbage Man Day … Read moreTime is Running Out! Enter to Win FREE Shirts for Your Entire Company!